My second anniversary of moving to Los Angeles is rapidly approaching. I am starting to feel a bit at home but the truth is that,in a city this size,two years is barely enough time to scratch the surface of all it has to offer. Particularly,if you are a foodie. There are some areas of the Los Angeles foodie scene that I have explored more thoroughly than others. For example, I have had more than my fair share of cupcakes since moving to Los Angeles. Which came in handy today when both myself and Chris fancied a cupcake but we each wanted a different style. 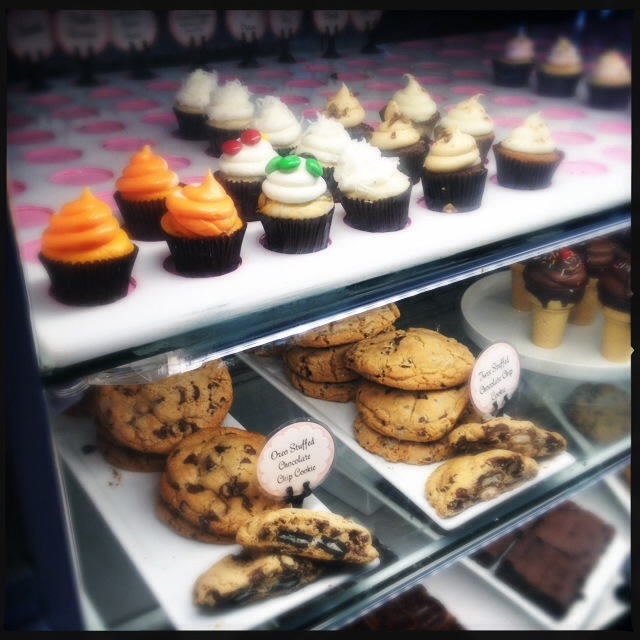 I wanted a super moist cupcake and a selection of creative flavors from which to make my selection. So, for my cupcake we headed off to Beverly Hills to Georgetown Cupcake. 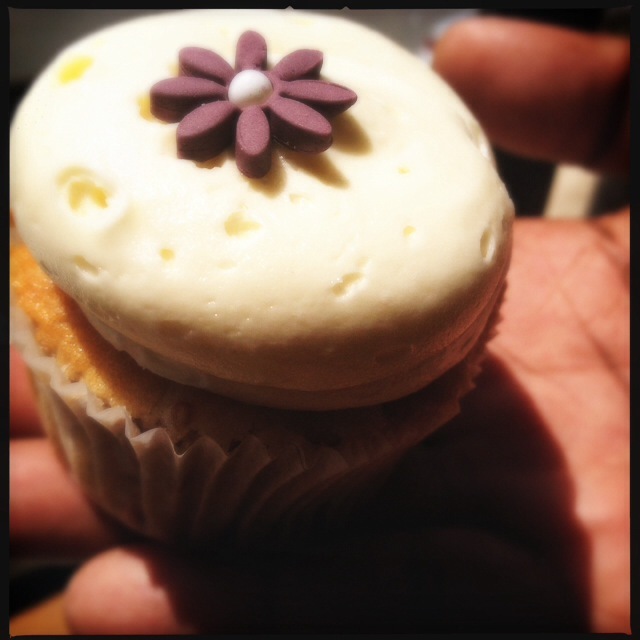 I picked up a Lavender Earl Grey Teacake cupcake and a White Chocolate Raspberry cupcake. Both were delicious cupcakes. Especially the white chocolate one which was made incredibly moist by having real raspberries baked into the cake. It is always nice to be reminded that real ingredients went into something which is,after all,priced at a premium level. Chris wanted equally delicious cupcakes but in more classical flavors. We hopped back in the car and headed over to Third Street to visit Sweet E’s where he picked up a mixed pack of mini cupcakes. Chris loves this place so we do end up there fairly often. I like the cupcakes too but not as much as he does. Mostly because they tend to be almost sold out when we get there so I have only managed to have a small selection of cupcakes. Those that I have had were pretty good. I’m just the sort of foodie that gets bored eating the same thing over and over. I do need to remember to try out some of their non-cupcake offerings the next time we are there. Those cookies always look incredible. 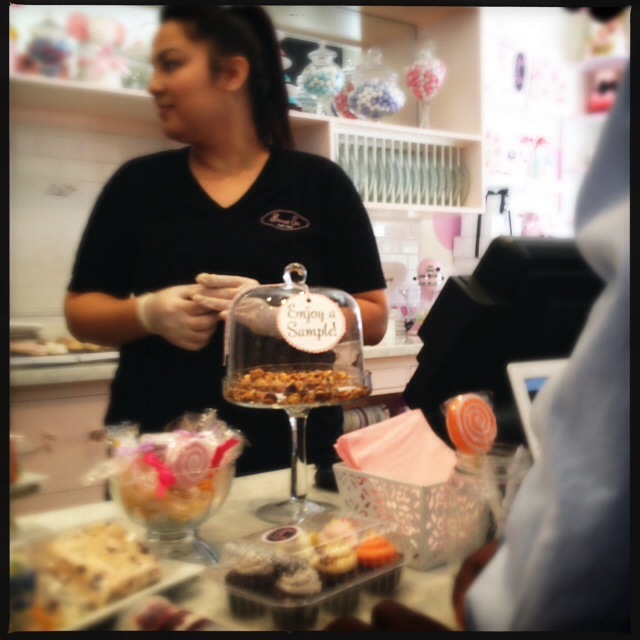 What does make Sweet E’s stand out for me is their consistently and friendly and personable service. Today, that was demonstrated by them remembering what we had ordered during our previous visit. For such a popular bake shop, that is especially impressive. 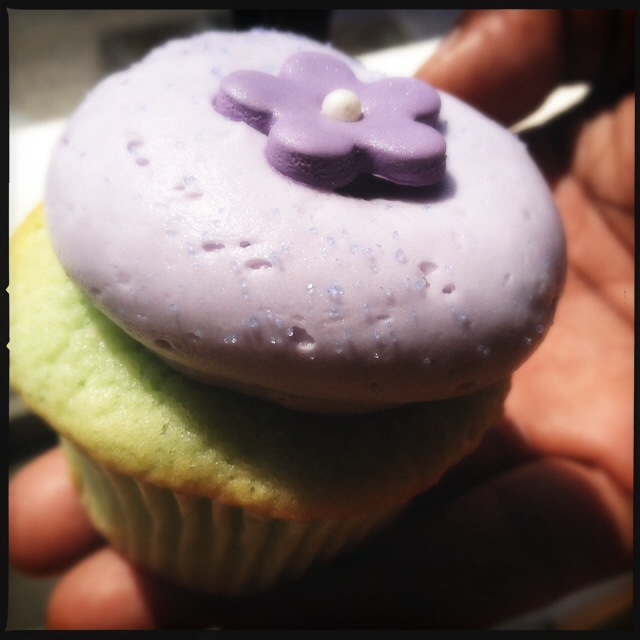 You get the picture that I have come to have a decent understanding of the Los Angeles cupcake scene. However, there is still so much of which I am ignorant. One of those areas of ignorance is where in Los Angeles to get a good milkshake. I’m not really that much of a milkshake drinker but when a craving hits it hits and the past couple weeks we have been craving milkshakes. We have tried a few different places around the city and none of them have been all that satisfying. We tried again today at Sweet E’s. I held out a bit of hope when they slid an extra wide straw into the cup. That is usually a promising sign of a wonderfully thick milkshake. Sadly,that promise wasn’t fulfilled. 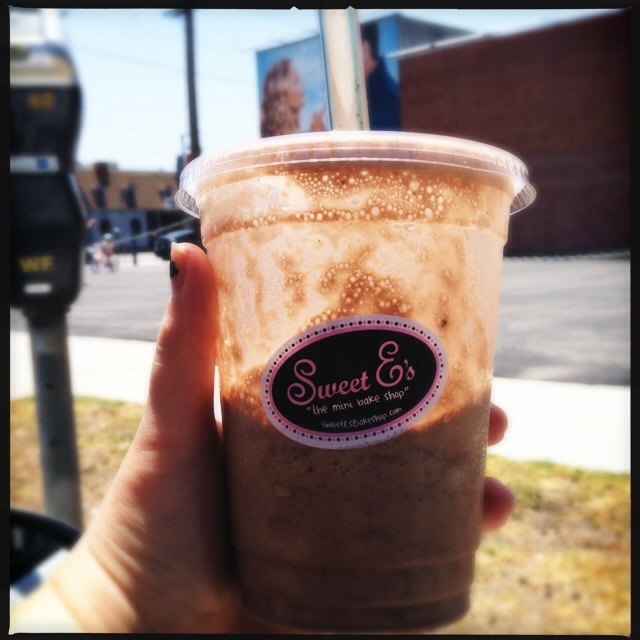 The Sweet E’s milkshake suffered from the same problem of the other milkshakes we have tried around Los Angeles. It was as if I was drinking melted chocolate ice cream. Really good chocolate ice cream but I would much rather have been eating it with a spoon than through a straw. When I am craving a milkshake, I want something that is so thick and creamy that I could stand a french fry up in it. Effort exerted sucking the rich goodness through a straw is rewarded by a drink so filling that it can substitute for an actual meal. My Los Angeles friends, I need you to help me with my local foodie education. Who serves the best milkshakes in Los Angeles? Clue me in! This entry was posted in LA Foodie and tagged Cupcakes. Bookmark the permalink.